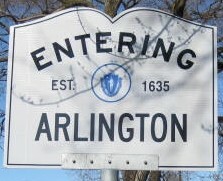 The first is built by the list software (available at http://arlingtonlist.org/archives. This set of archives first groups all the messages by the month they were posted, and in each month, provides a listing of the messages sorted in several manners (Author, Date, Subject, Thread). The second is built by custom code (available at http://arlingtonlist.org/archives/search This archive is searchable over author, date, and content. The form provides fields to specify what to search for. These are "Search", "Author", "Start", and "End"
Words of 3 or less characters are not processed, as well as some longer very common words. If search is empty, there will be no match score. Author defines a string that needs to be present as part of the from field of the message. Start and End specify the starting and ending dates to search for messages. Only message that were sent on or after the start date and before the end date are selected. Generally it is intended that the user provide a full date, but the routine parsing is actually fairly versatile (start dates like today, yesterday, or this week will be processed). The one thing I have heard that it doesn't accept is just a year.